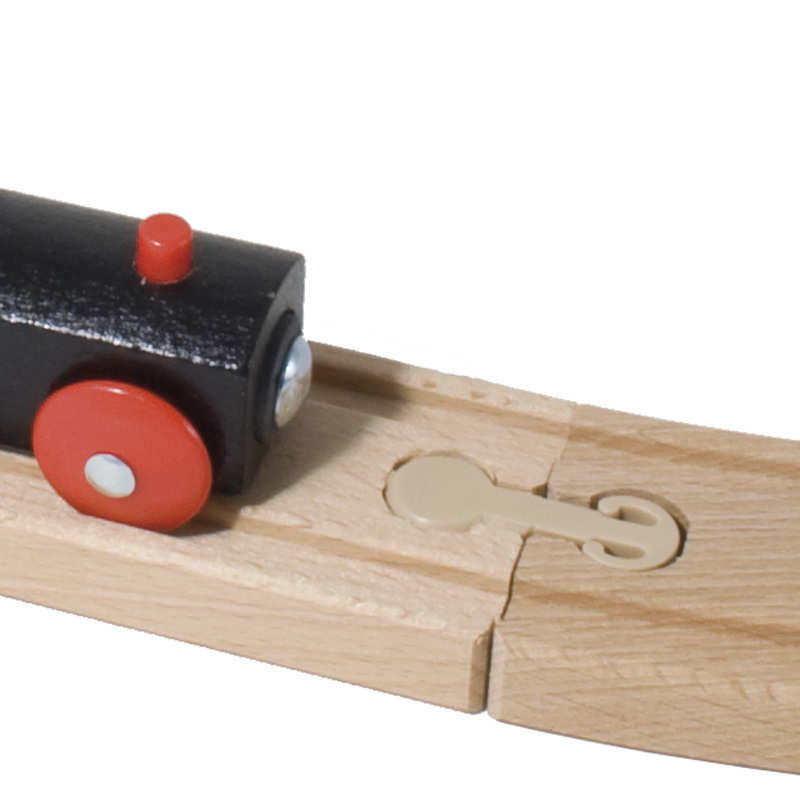 In this article we look at the wooden train set sold by Ikea and check to see whether it fits with Bigjigs railway, Brio or any of the other leading brands. Firstly we have to say it is fantastic value. Sold under the name of Lillabo, Ikea offer a basic 20 piece set for £7.99 and a pack of 10 track pieces for just £4.99. The track pieces seem to be made of beech, which isn’t cheap. As the old phrase goes “You couldn’t buy the wood for that”. If you think your child will be happy with a basic layout and will not want to extend it as they get older with crossings, engine sheds, T-junctions and other fun items that include elements of track – extras that Ikea don’t currently have in their range – then this is a good way of doing so. In any event it’s a good introduction to wooden trains. The problem is that the Ikea track that we bought just doesn’t fit easily with the numerous other makes of track we have, despite their own claims. You can see that unlike most brands the Ikea track uses a plastic insert to form the male joint. For whatever reason the people at Ikea made it shorter than the Brio or Bigjigs joint so with the samples we had it just doesn’t fit – see image below. OK, maybe the odd piece will just about squeeze in, but we haven’t been able to make it do that, and we think it could be immensely frustrating for a young child. Conversely of course the male end of other brands, being that bit longer, fits loosely into the female end of Ikea track, making a wobbly and unsatisfactory connection. The other thing to note is that in this world you do get what you pay for. Take a look at our picture below of Thomas the Tank Engine, from the Thomas and Friends range, on the same track (Ikea track actually) and attached to the engine that comes from Ikea. The black Ikea engine has no detail and is really quite small. Admittedly the Thomas Engine costs £2.00 more than the whole Ikea set, but doesn’t it just look a lot more fun for a child? 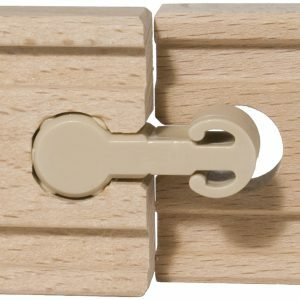 I also think, that the plastic joints are really an Ikea-like solution, that way only one tool is needed for doing the wooden parts, plus I can remove them to make same-end-partd (also, in the kindergarden, they have Eichhorn, and those wooden joints tend to break if overstressed). How about if you build a connector among the two different types of rails?